The toilet in this facility backed up. After sanitizing the area and removing the debris, we made sure the areas became dry! While many people know we deal with residential water, fire or mold damage, many don't know we also mitigate damage to a business. Often, we see a board up may be required due to a fire or vandalism, or both. But, water damage is still the most common damage we see. 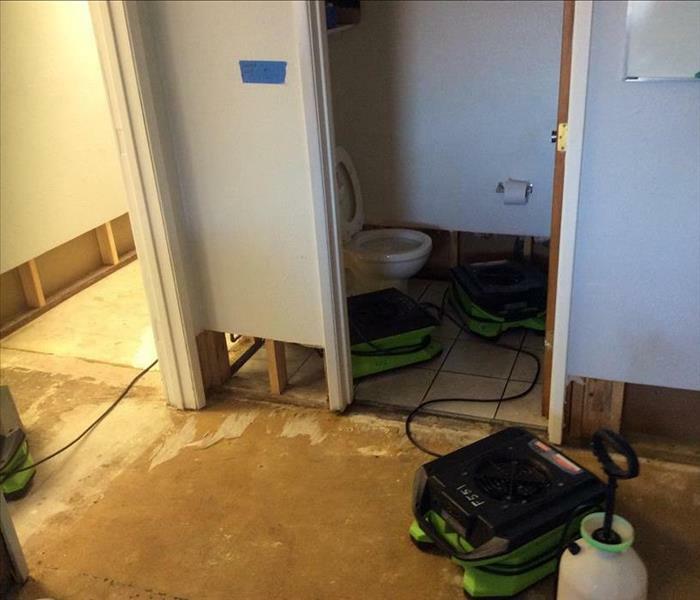 This particular water damage had the potential to shut down the business for several days; however, we swooped in and got cleanup services started right away. 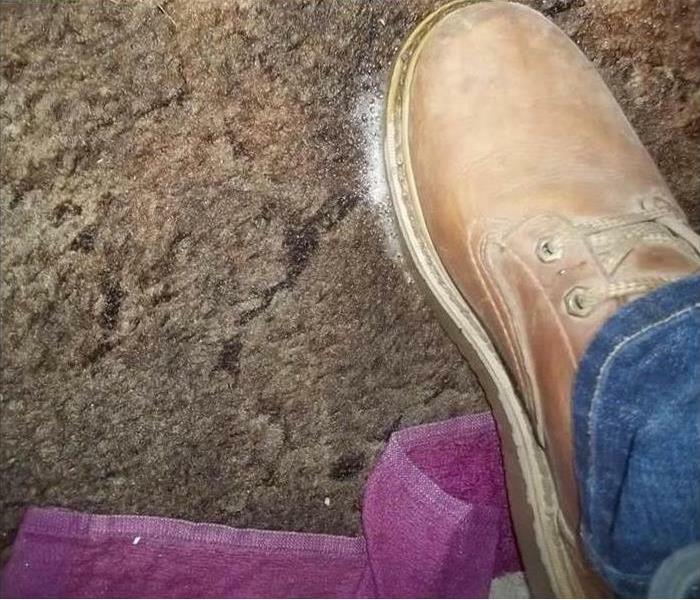 If water sits for too long after a mishap, it can get under floors and furniture. It can also crawl up walls. When these incidences occur, cleaning up after water damage becomes more difficult. For this reason, we insist on being available at any time to deal with the damage right away. This is the mold damage you can't see in a typical shower. Imagine if it was left undiscovered! Middletown mold remediation services are available 24/7, call SERVPRO of Lake County at 263-9283 for a consultation and information. 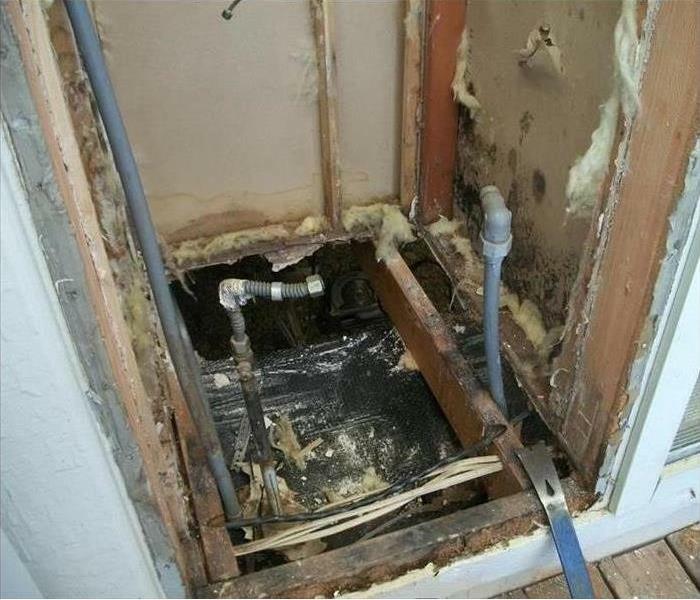 A leaky shower in Middletown was the cause of much needed mold remediation. Not only did SERVPRO clean up the mess, but we made sure the leak wouldn't happen again! We also checked for other leaks around the home, as well as other sources of mold growth. Mold growth should be prevented at all costs! Bathrooms tend to grow mold the most because of the use of a shower or tub. Leaky pipes under bathroom sinks can also cause mold growth, as well as the improper use of shower curtains or doors. *Pro Tip: after using the shower, stretch out the shower curtain to prevent water from getting stuck in the curtain, which can cause the curtain to grow mold. Don't allow mold to grow in any room of your home, call us at 263-9283 for 24/7 assistance in your home or business. The Sulphur Fire in 2017 cause so much devastation and disruption to people's lives. A lot of homes were burned completely, but some had fire, smoke, and water damage. Clearlake was the most affected. Businesses have burned down, and turned wonderful communities into wastelands. Even through it all, the communities still stand strong with help from FEMA, local donations, and SERVPRO of Lake County's services. Clearlake fire damage cleanup has been on the rise due to the Valley Fire in 2015, as well as the more recent Sulphur Fire. However, we also specialize in home repair. We can complete demolition work, mold mitigation and remediation, drying, air scrubbing, wipe down of ceilings and walls from smoke damage, and sheetrock/insulation removal. All this work can be completed for businesses as well. Whatever is needed can be done, as long as it's approved and/or covered by insurance if you decide to file a claim. Give us a call if you have any questions about your loss, or need some guidance and general advice. We are here to help! Getting the area dry is one of the most important steps in dealing with water damage. This morning, we received a call from a distraught restaurant owner about a dishwasher leak. The leak had apparently been going on for quite some time, without the owner's awareness. Mold grew underneath it, and started to creep in between cabinets and up walls. Before you know it, mold will be EVERYWHERE even with a small leak. Paying attention to your appliances, as well as flooring, can discolor or misshape your flooring. However, water damage is capable of being repaired. Not only can we repair water damage in your business but we can also take care of your contents and help you with your insurance claim! We report everything to insurance in specialized reports, and deal with any issues that come up along the way. We guarantee a timely finished product; you home back in order, like the damage never even happened. 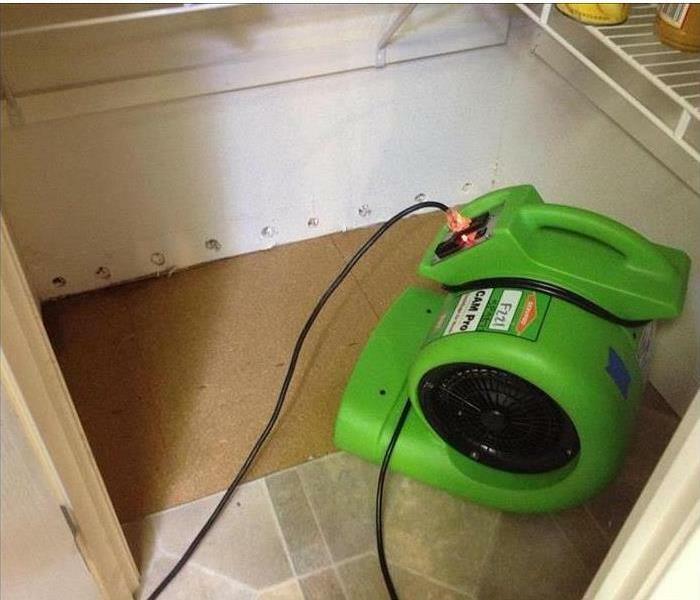 Seeing something like this can make the damage seem like it will never end, but SERVPRO won't let that happen! Having your home all of a sudden go up in flames will be an emotional and life changing experience. Seeing your special keepsakes, memories, and furniture ruined can make you feel like the situation is hopeless, and nothing will make things better. Remove your personal items to be cleaned and restored? Remove the soot, fire damage, and smoke smell? Talk with your insurance company on an as needed basis? Always be available, even once the project is complete? We are SERVPRO of Lake County, and even before the catastrophe all of these local fires brought to our community, we've seen so much devastation due to just one spark. 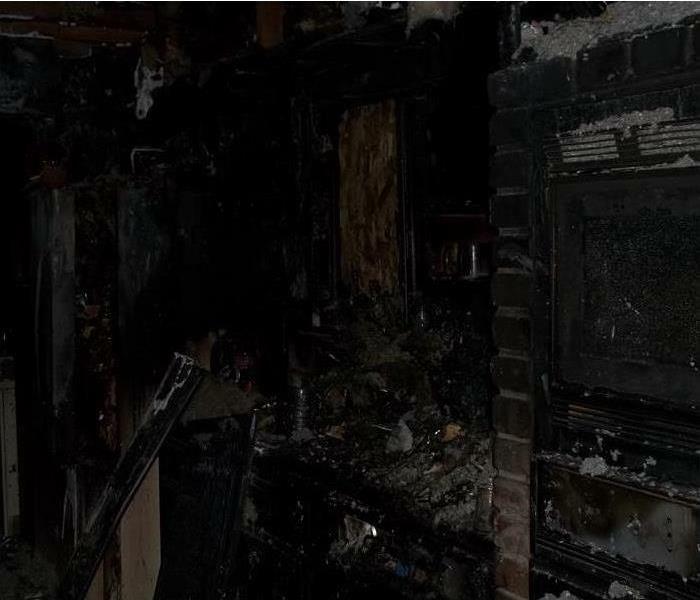 Middletown fire damage restoration is always available, even if it's just because of a toaster oven. We are an emergency service company, available 24 hours a day, 7 days a week, even for the biggest jobs! Nobody wants to wake up to squishy carpet! Imagine this kind of wetness when you wake up to put on your slippers. Not very pleasant, but very alarming. The longer wet carpet sits, the more likely you will have a damaged subfloor that will take weeks to replace, especially if the whole level of your home is damaged. We have seen some horrific cases of water damage; they are often accompanied by unpleasant odors, rotting wood or even black water. In the case of black water, the water is completely contaminated and poses a biohazard to you, or anyone who touches it without protecting. In the case of floods, we highly recommend not entering the water because the flood water may have mixed with raw sewage during a storm. If carpet has been contaminated, we don’t clean it. We remove it right away, and clean/sanitize the area underneath to prevent further growth. If you don’t use any sort of chemical or technology to prevent the spread and growth of mold. Upper Lake water extraction is such a scientific process. If we don’t extract enough, you could be left with mold. If we don’t dry what can’t be extracted, it might get through to the subfloor, which could possibly require reconstruction. Smells are also difficult to remove, so if we leave the water sitting too long, any smell left behind may be difficult to remove. We don’t want to cost you any more than what’s necessary, especially if there are preventative measures that can be applied. After the devastation of the Valley Fire, Lake County was left in what looked like shambles. However, due to the generosity of the community and hard work of the fire departments, utility companies, health inspectors, and fundraisers, Lake County will be back on its feet in no time. Middletown home and business repairs are on the rise! The Clayton Fire had similar results, but not as chronic. A lot of businesses are lost, which means revenue and products need to be replaced as soon as possible. We want to be there to help as much as possible so the community doesn't fall away and become deserted. There are many services available for those affected by the Clayton and Valley Fires. Restoration work may be on the bottom of many people's lists. However, most people don't realize that a lot of restoration work is paid by their homeowners insurance. Smoke damage has been the most common need for restoration work. Some homes were affected by flames, either partially or entirely; we've seen it all. Give us a call, we will take some basic information such as your address and phone number, and extent of the damage, as well as any contact information for your insurance company. We work with all major insurance carriers, as well as smaller ones, and can provide a free estimate for you. We understand this process is emotional, and we will be there for you every step of the way and we communicate closely with your insurance company. Let us help you get your life back on track! Although many businesses may want a bigger company to deal with fire damage, bigger doesn't always mean better. They may have a lot of people, but can the people work as a team? They may have a lot of pieces of equipment, but are those pieces up to par? Do they work for what they're designed to do? These are all important questions to ask when deciding who should deal with Clearlake commercial fire cleanup. SERVPRO is not just one company, it's a big team! While we know we can handle large losses with our crew of at least 30 people, there may be fire losses that happen that require more manpower. We don't want to bring in just anyone; we would want those who have the SERVPRO methods down. Those methods include swift, fast, and consistent team work. We respond right away after we get a call about a loss, and we appear on site the same day if it's an emergency. We don't want you to wait until Monday!